Established in the year 2009 at Delhi, "Dossier India" is a recognized manufacturer and supplier a wide assortment of Display Racks and Shelves. 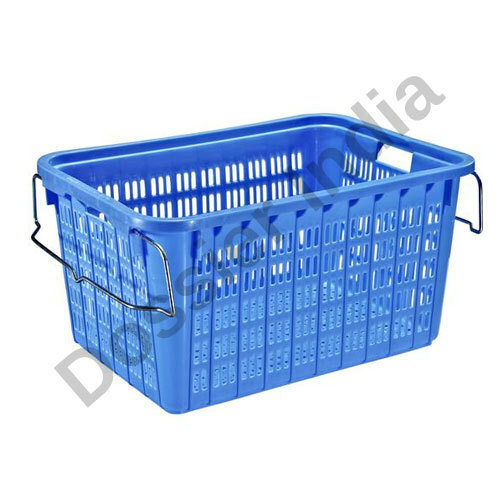 Our wide range of product includes Shopping Basket, Slotted Angle Racks, and Grocery Store Racks. For us, our customers are our biggest concern and asset to keep us moving and sustain in this market. We also have a team of quality controllers that are most skilled and equipped with latest machines to keep it as per set market standards. We keep our customers happy on many parameters like apt delivery, waterproof packaging, quality assured products and best installation services are few of its factors that make us a most appreciated brand of this domain. These racks are manufactured by our most qualified and experienced professionals with the assistance of modern and up to dated machines. To keep these racks high quality, our professionals' check is in accordance with global standards. These racks are popular for beautiful design and are spacious to use. They are easy to install on walls and are widely demanded in shopping malls for displaying different sorts of things like vegetables, fruits, books and stuff toys. Smooth finish, cost-effective rates, quality assurance, excellent design and strongly built texture are few of the many factors that make these racks highly appreciated by our customers.